Even as Meira Kumar's candidature was approved by 17 opposition political parties, the numbers are clearly in favour of Ram Nath Kovind. A total of 4,120 MLAs and 776 MPs would cast their votes in the presidential election on 17 July. Kovind fielded by the NDA is expected to garner almost 60 percent of votes with the help of support extended by several non-NDA parties such as JD(U), BJD, and both factions of AIADMK. Presidential poll candidate has become a bone of contention between JD(U) and the rest of the opposition parties. While JD(U) declared its support for NDA's Ram Nath Kovind for being Bihar's former governor, Congress fielded Meira Kumar, another Dalit and daughter of prominent leader from the state Jagjivan Ram. However, Nitish's decision to stand by Kovind has started rumours that the Opposition unity may not be as strong as the Congress would like to portray. Meira Kumar is likely to launch her campaign from Sabarmati Ashram in Ahmedabad in Gujarat after her nomination papers are cleared on Thursday. "I feel I should start my election campaign from Sabarmati Ashram in Ahmedabad. I will start from there," said Kumar briefing media in New Delhi, a day ahead of filing her nomination papers. Asked why Sabarmati, Kumar said, "Everybody knows the significance of Sabarmati in our country. The 'sant' of Sabarmati (Mahatma Gandhi) played an important role in the freedom movement of our country. That's why I am going there." BJP leader Venkaiah Naidu filed fourth set of nomination papers on behalf of Kovind to conclude the nomination formalities for the NDA's presidential pick. The Presidential elections, slated for 17 July, will see a race between Opposition's Meira Kumar and Kovind, who has a decided advantage given to the strength of the ruling party in the House. In yet another bid to underscore Opposition's unity, leaders from various political parties flanked Kumar as she reached Parliament House to file her nomination papers. From Congress President Sonia Gandhi, to All India Trinamool Congress' Derek O' Brian, prominent leaders from several opposition parties made appearances alongside Kumar. However, JD(U)'s presence was noticeably missing from the scene, which had pledged support to NDA's candidate Ram Nath Kovind, even before Kumar's candidature was announced. 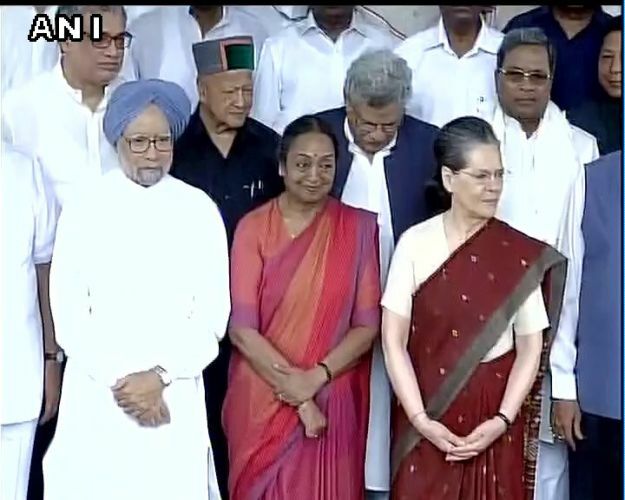 Flanked by major Opposition leaders, including CPM general secretary Sitaram Yechury, Congress president Sonia Gandhi, former prime minister Manmohan Singh and TMC's DereK O' Brian among others. Responding to Union minister Sushma Swaraj's releasing a video of a Lok Sabha speech to indicate how she was treated as leader of opposition, Kumar said leaders of various parties had never criticised her for her style of functioning but appreciated it. Controversies from her past has come back to haunt Meira Kumar, who will file her nomination papers today. Kumar has been embroiled in a controversy over a government bungalow allotted to her. It is alleged that using her influence as the Lok Sabha speaker, she apparently got it converted into a memorial for her father. Kumar, however, brushed aside these allegations, adding that due process was followed in the move. Opposition's presidential nominee and former Lok Sabha speaker Kumar said that she will pay her respects at the Samadhis of Mahatma Gandhi and Jagjivan Ram, her father before she files her nomination papers at 11.30 am. Meira Kumar will file a set of four nomination papers which will be proposed and seconded by leaders of a number of opposition parties. She will file her papers at 11:30 AM in Parliament before the Lok Sabha Secretary General, the returning officer for the 17 July presidential election. As Nitish Kumar, a Congress ally in Bihar, declared his support for the NDA candidate, Meira Kumar said that she had not yet decided on whether to appeal to Bihar Chief Minister to support her nomination. However, she had already reached out to each member of the electorate through her letter two days ago in which she made an emotional appeal to their "voice of inner conscience". In a political comeback, Congress had named Meira the presidential nominee after BJP named Ram Nath Kovind as its presidential pick. While Kovind was the governor of Biihar, Meira hails from the state and is the daughter of a prominent politican Jagjivan Ram. Both Kovind and Meira are Dalits. Meira Kumar described recent attacks on Dalits as "shameful", even as she said that it was unfortunate that the elections to a constitutional post are being reduced to the discussion around the candidates' caste. committed on Dalits, the oppressed and weaker sections... my fight is against that," Kumar added. Congress party criticised External Affairs Minister Sushma Swaraj for targeting the Opposition's presidential nominee Meira Kumar. The Opposition leaders said that Kumar is a credible person, and that is a well known fact. Congress leader Tom Vadakkan said that Swaraj, while holding a responsible office, should refrain from making such comments, Deccan Chronicle reported. The External Affairs Minister on Sunday posted a video of former Kumar, who was the former Lok Sabha speaker, on Twitter which she , "This is how Lok Sabha Speaker Meira Kumar treated the Leader of Opposition." Vadakkan's reponse came in light of the aforementioned tweet. The opposition's presidential candidate Meira Kumar will file her nomination papers on Wednesday, the last date of filing nominations. Apart from prominent Congerss leaders, leaders of 16 other parties supporting her, including NCP's Sharad Pawar, West Bengal Chief Minister Mamata Banerjee, CPI-M's Sitaram Yechury and Rashtriya Janata Dal leader Lalu Prasad are also expected to be present during the filing of nomination. 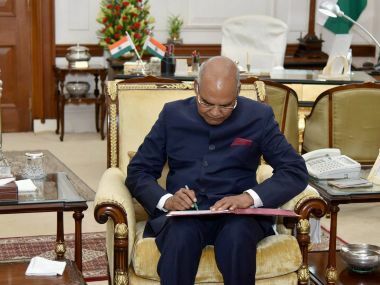 Ram Nath Kovind has also been accorded Z+ security, and commandos of the NSG and security agencies have also done security audit of Kovind's temporary residence in the capital. "A Z+ and NSG security cover has been given to Ram Nath Kovind," a home ministry spokesperson confirmed. It is expected that the security cover will be with him in the upcoming days and weeks, as he travels the length and breadth of the country to canvass for support. The electoral college comprising all elected MPs and MLAs of India would appear to be firmly behind Ram Nath Kovind. NDA, its constituents and allies make up 48.6 percent of the electoral college. 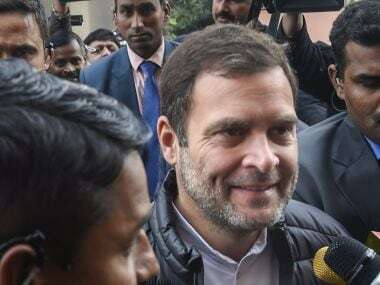 This apart, regional parties like AIADMK, BJD, TRS and JD(U) have also decided to back Kovind's candidature as the next president of India, giving him over 60 percent of the electoral college, and that figure could increase further, given that some regional parties are still undecided. Prime Minister Narendra Modi tweeted on Friday morning that he will accompany NDA's presidnetial nominee Ram Nath Kovind as he files his nomination papers. According to News18, Kovind will assemble in the Parliament library at 11 am with chief ministers, members of parliament, and members of Legislative Assembly. Kovind will file his nomination papers at 11.45 am. 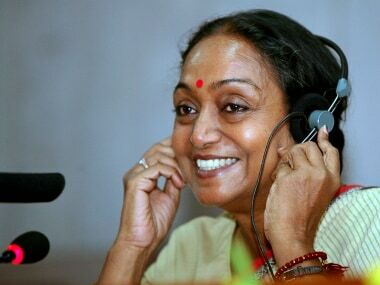 Meira Kumar was elected to Lok Sabha for the first time from Bijnor in Uttar Pradesh in 1985, defeating top Dalit leaders Mayawati and Ram Vilas Paswan. She became an MP for the second time in 1996 and again in 1998 from Delhi’s Karol Bagh constituency but lost her seat in 1999 when NDA returned to power. Kumar was re-elected in 2004 with a huge margin from Sasaram in Bihar, the constituency of her father, and became an MP for the fifth time in 2009. From being a foreign service officer to a five-term MP and then a Cabinet minister, Kumar has traversed a long way and a varied course that came in handy to her in running the Lok Sabha that often throws itself into scenes of tumult. She holds an MA and LLB degrees alongwith an advanced diploma in Spanish. The career of Kumar began when she quit her Indian Foreign Service(IFS) job and decided to fight the Lok Sabha polls in 1985, a year before her father’s death. Daughter of former deputy prime minister late Jagjivan Ram, Meira Kumar, 72, was the first woman to occupy the high office of the Lok Sabha Speaker between 2009 and 2014 during the UPA-II rule. The People's Democratic Party (PDP) will hold a meeting of its 28 MLAs and two Rajya Sabha MPs to decide which candidate to vote for during the presidential election on 17 July, after some of its members expressed opposition to NDA candidate Ram Nath Kovind, due to his RSS background. UPA nominee for President's post Meira Kumar more capable and popular than NDA candidate: BSP supremo Mayawati. Talking to reporters, Leader of the Opposition in the Rajya Sabha, Ghulam Nabi Azad, said: "There could not have been a better candidate than Meira Kumar for the post of President." Rashtriya Janata Dal (RJD) has attacked Bihar Chief Minister Nitish Kumar after 17 opposition parties led by Congress announced to pitch Meira Kumar against NDA nominee Ramnath Kovind. After attending the meeting in Delhi, RJD leader Lalu Prasad said that Nitish had done a historical mistake. "Nitish had called me and told about his decision. I advised him not to do so but I can't say what happened after that. Now everybody knows what He has done. He himself had pitched for opposition unity and backtracked," Lalu said. Latest salvo from the RJD is set to widen the cracks within the ruling Mahagathbandhan. 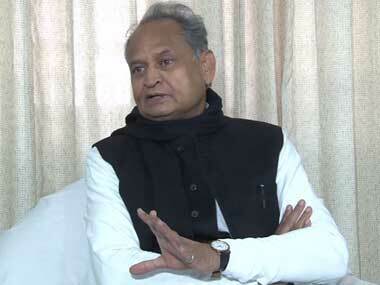 Other alliance partner Congress has also denounced Nitish' party JD(U) for going with the BJP. Back in Patna, RJD MLA Bhai Virendra challenged Nitish Kumar to change his decision to support Kovind having RSS background. "People of Bihar will never forget Nitish Kumar. Now a daughter of Bihar from Dalit background has been named Presidential candidate. Nitish should have waited and thought about it. He has done a big mistake and will pay price for that," he said. Not only Bhai Virendra but other RJD leaders have openly ciriticised Nitish Kumar since yesterday when the Bihar CM announced to support Kovind. JD(U) did not participate in today's opposition meeting held in Delhi but RJD leader Lalu Yadav was present there. Lalu had made it clear that He would go with what the Congress led opposition will decide. Senior RJD leader Raghuvansh Prasad Singh alleged that Nitish had taken the decision to demean the RJD. He also feared the ruling Mahagathbandhan might not last long in Bihar. If there is an impression that Kovind is selected only to bring Dalits under the BJP fold, it would be far from reality. In fact, Kovind’s selection as the NDA’s presidential candidate is driven by an objective of deepening the Hindutva into those social segments which were inaccessible to the ideologues of Sangh Parivar. Kovind’s selection is certainly a part of a larger political project of consolidating the Hindu identity. Full analysis here. "If someone is trying to make a Dalit a President with the purpose of gaining a vote bank then we are not with them," Shiv Sena chief Uddhav Thackeray said about Ram Nath Kovind, NDA's pick for the 2017 Presidential elections. He then went to add that, "But if it is for the development of the nation then we may support." Expressing her party's reservation about the candidature of Ram Nath Kovind, Trinamool Congress leader Mamata Banerjee said that, "The office of President is a key post. Someone of the stature of Pranab Mukherjee or even Sushma Swaraj or (L K) Advaniji may have been made the candidate." Read more here. By announcing Kovind's name as NDA presidential candidate, Narendra Modi and Amit Shah have yet again reminded that they are a master of surprises, expect the unexpected from them. They have proved that all the media speculations and the so called "informed" private talks among the senior leads and ministers to be wrong after Kovind's name was nowhere on the radar when speculations were rife. Read more here. Congress will not comment on NDA's pick for the presidential candidate, said Ghulam Nabi Azad, after Amit Shah announced Ram Nath Kovind's candidature. Azad further said that Congress has always believed that the Opposition will make an unanimous decision on the presidential candidate. Sonia Gandhi was authorised to form a sub-group. In the meantime, the BJP has decided that three senior ministers will talk to the Opposition about the presidential candidate. During the meeting, no mentioned was mentioned. Before the announcement, we had hoped for a discussion so that there is no consensus. They informed Sonia Gandhi and Manmohan Singh only after the decision was made. This was a one-sided decision, said Azad. He added that the final decision will be taken by the Opposition after the 22 June meeting. If elected, Ram Nath Kovind will be the second Dalit Indian President after KR Narayanan. The earlier names which were doing the rounds for Presidency included External Affairs Minister Sushma Swaraj and Lok Sabha Speaker Sumitra Mahajan. "Ram Nath comes from a Dalit family and has struggled a lot. We hope he will be the unanimous candidate for the election," Shah said. He once headed the BJP's Dalit wing. Kovind was made the Governor of Bihar two years ago after the NDA took power in the centre in May 2014. In an earlier piece, Sunil Raman had written for Firstpost: "Modi and BJP president Amit Shah’s strategy to get Dalit-tribal duo in president and vice-president offices is meant to achieve multiple objectives"
Meira Kumar entered electoral politics in 1985 when she joined Congress and is a five-time Lok Sabha MP. Kumar, the daughter of prominent Dalit leader Jagjivan Ram, has beaten powerful Dalit leaders like Ram Vilas Paswan and Mayawati to win in Bijnor in Uttar Pradesh. She is also the first woman to become the Lok Sabha Speaker. Read more about her family background and political career here. Union minister Venkaiah Naidu files fourth set of nomination papers on behalf of NDA presidential candidate #RamNathKovind. Tomorrow morning at 10 AM, I will pay homage at Rajghat and Samta Sthal, the samadhis of Mahatma Gandhi and my father, Babu Jagjivan Ram. "It is a matter of great shame for us. We should hang our heads in shame if there is even one incident of violence against Dalits or the weaker sections of the society," Meira Kumar said. "This is my fight." "I will go to Sabarmati ashram first to campaign for the election," Meira Kumar said. "Through this fight, the truth in the society is coming out. This 'Dalit vs Dalit' tag shows us how the society thinks." "Caste should locked up in a piece of cloth and be buried deep underground," she said. "In the coming election, this ideology will be the plank on which I contest. Two days ago, I wrote letters to all the honourable members of the Collegium, requesting them to extend their support to me," Kumar said. "History is being scripted and this is the time when one should listen to one's inner voice," said the former Lok Sabha Speaker. "You all are aware of the political events in current times," Meira Kumar said. "I am thankful to all the 17 parties who supported my nomination," Kumar said. "The unity of Opposition parties is based on common ideology. They are based on social justice, democratic ideals, freedom of press, end to poverty and casteism." "These principles are very close to my heart," she said. Time has come full circle in Bihar. The kind of political upheaval that the state is experiencing because of the presidential election is reminiscent of what had happened four years ago. On 16 June, 2013, Bihar chief minister Nitish Kumar broke his party's 17-year-old alliance with the Bhartiya Janata Party (BJP), protesting against the elevation of Prime Minister Narendra Modi who was then appointed as the chiarman of BJP's election campaign committee for the 2014 Lok Sabha election. Friction between the BJP and Janata Dal (United) started surfacing as soon as demands of moving Modi from Gujarat and giving him a bigger responsibility in the general election started gaining momentum. Set for a comfortable victory, NDA presidential nominee Ram Nath Kovind may bag over 62 percent votes but fall short of the 69 percent votes polled by incumbent Pranab Mukherjee in 2012. With the battle lines drawn in the first-ever Dalit versus Dalit presidential contest, the odds are heavily stacked in favour of the saffron brigade candidate Kovind who is set to get around 7 lakh votes which is around two-thirds of the total 10,98,903 votes of the electoral college. The joint opposition candidate Meira Kumar is likely to bag around 4 lakh votes despite the support of many regional parties like the RJD, traditional rivals the SP and the BSP and the TMC and the CPM. Read the full PTI report here. Sushma Swaraj took to Twitter on Sunday to express her disapproval of former Lok Sabha speaker Meira Kumar. Swaraj shared a video from 2013 on the social media site showcasing Meira's behaviour towards Swaraj inside the Parliament. Swaraj was the Leader of Opposition in the Lok Sabha and Meira was the Lok Sabha speaker. In the video, Swaraj discusses the corruption in the government, which back then was the UPA-II government. "Ever since I became governor, I don't belong to any political party. The post of president is above party politics. I am thankful to everybody for their support," Kovind told reporters. "I will do my best to maintain dignity of the high office of the president," he said. Referring to national security, Kovind said, "The president is also the supreme commander of all three forces. It is our responsibility to keep our border secure." According to India Today, Kovind filed three sets of nominations and will file another set on the last day of filing nomination. Every set is signed by 60 leaders as proposers and 60 as seconders. This means that 480 MPs/MLAs have signed the nomination papers of Kovind. "I am thankful to all those who have supported me. I will try to maintain the dignity of the post," ANI quoted Kovind as saying. Before going into the merits or not of the candidates, the elephant in every Indian room, that is caste, must be addressed. Every election in India is dependent on the math around caste and this time around, the Congress has made that math irrelevant by matching BJP every step of the way, and trying to upstage them as well. What has been most frustrating about this impending contest for the post of the Constitutional head of India no less, has been the politics of optics and perception. Our caste bias more obvious than ever when we sit down to write or talk about politicians, especially about the leaders who come from oppressed communities. If elected, Ram Nath Kovind could become the second Dalit president of the country, only after KR Narayanan, who was in the Rashtrapati Bhavan from 1997 to 2002. Nitish Kumar created a flutter by sticking to his decision to back Ram Nath Kovind, the NDA nominee in the presidential race, even after Meira Kumar, a Congress leader hailing from Bihar, was named as the 17-party Opposition's choice for the top constitutional position in the country. Many have described Nitish's decision as a smart political move; at a time when his electoral partners — Lalu Prasad Yadav and his family members — are getting increasingly embroiled in corruption charges, Nitish has apparently found ways to rebuild bridges with BJP and Narendra Modi for a possible association in the future, if necessary. This is, of course, not a one-off instance when Nitish Kumar broke ranks with his alliance partners, RJD and Congress. He wholeheartedly supported the NDA government's claims about surgical strikes against Pakistan, at a time when Sonia Gandhi and Lalu Yadav were picking holes in this claim. More importantly, when the entire Opposition was up in arms against Narendra Modi's demonetisation plank, Nitish showed his solitary streak by being the only Opposition leader to defend the move. Unfazed by JD(U)'s decision to back NDA's Presidential candidate Ram Nath Kovind, major opposition parties will meet in Delhi on Thursday amid indications that former Lok Sabha Speaker Meira Kumar could be their nominee for the presidential election. Meira Kumar met Congress President Sonia Gandhi at her residence on Wednesday. Though there was no official word about the meeting, it is widely believed that Meira Kumar could be the opposition's choice against Kovind. Like Kovind, Meira Kumar belongs to the Dalit community. She was the first woman speaker of Lok Sabha and also has been a Union Minister. Ahead of meeting of opposition parties, Communist Party of India leader D Raja said that JD(U) was one of the opposition parties which had come together to field a common candidate in the presidential polls and its parting ways will not have any bearing on the stance of other parties. "It is one party. We are 17 parties who came together on the issue. (Bihar Chief Minister) Nitish Kumar has taken such a position, it is for him. It does not mean all others follow Nitish Kumar," Raja told IANS. Gandhi had taken the initiative to talk to opposition parties to evolve a consensus candidate in the presidential election. Nitish Kumar was among the leaders who met her and JD(U) leaders took part in all meetings of the grouping. JD(U) leader Sharad Yadav was also a member of the sub-committee formed by opposition parties to decide the presidential candidate. Communist Party of India-Marxist General Secretary Sitaram Yechury said on Wednesday that there would be a "strong candidate" against Kovind. "The question is of a political battle — whether the basics of our Constitution would be protected or RSS would convert the country into a Hindu Rashtra (nation)," Yechury said. It remains to be seen if BSP, which has also said that it cannot oppose a Dalit candidate unless the opposition has a more popular Dalit nominee, attends the opposition meeting. "There should be no talk about whether a Dalit should be there (be a President)... caste or religion. Whoever would be the protector of the Constitution should be above caste and religion," he said adding that his party would attend the opposition's meeting on Thursday. The other name doing the rounds as possible opposition candidates is of former Maharashtra Chief Minister Sushil Kumar Shinde, who also belong to the Dalit community.